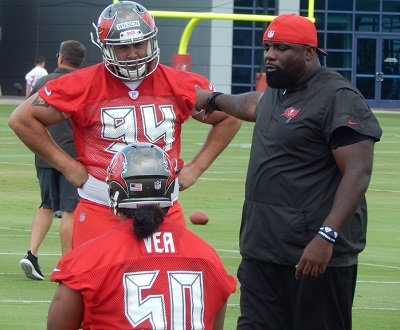 Man, new Buccaneers defensive line coach Brentson Buckner, who had a strong 12-year career himself, is one heck of a passionate motivator. Here are some delightful nuggets from Buckner via an interview he did with Arizona 98.7 FM last year. “I always tell my guys, the football is like your girl. You miss her after a while, especially if you don’t get a chance to play with her. … If you don’t play up to standard, you’re not going to be on the field. In part, Buckner was talking in relation to Arizona defensive tackle Robert Nkemdiche, a first-round pick in 2016. He has been bust through two seasons — both under Buckner with the Cardinals. The vibe from Buckner was that some guys simply don’t have it in them — or they don’t find it fast enough. No knock on Buckner for Nkemdiche, the dude dropped in that year’s draft bc of character concerns despite having live talent. The fact he’s panned out to be a bust isn’t the least bit at all surprising. This guy is inspirational. We’ve been missing that fire for a long, long time. What an excellent hire by Licht. No disrespect to Jay Hayes but Buck is next level badass. Softie ain’t be playin’ that noise. Why arent college coaches preparing these guys? Gholston came out without any pass rushing moves! Nkemdiche’s passion for the game was questioned coming out of college then the fall/jump out of the 2 story building didn’t help resolve concerns around him. First of all, the game is so different between college and the pros. Very few college teams run pro type offenses. The speed of the NFL game is light years faster than college. They are no longer physically more gifted than the people they are going up against, which is the case in college. Second, colleges don’t get anywhere near the amount of time with their players. They don’t have the time to go into such great detail. The NFL doesn’t get anywhere near the same amount of time that they used to, which you can argue has hurt the quality of the game. 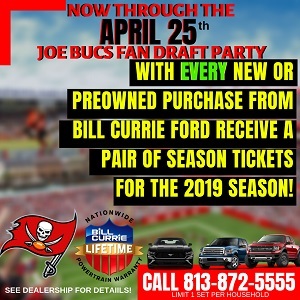 Best signing of the off season. If the Bucs turn it around this season, Buckner will be a huge part of it. Finally some passion in the coaching staff. Buckner has displayed more energy..passion and drive for the Buc game than Koetter and Smitty have in 2 seasons!! Hell, he should be the head coach. I remember when Jay Hayes was supposed to be the next great DC in the NFL as well……….. I can flat out guarantee you that if Buckner wanted to get GMC out of there it would have been done…..He’s likely very happy to have him and has to be pleased with the Vea selection and certainly had a hand in the Defensive FAs. To answer your question, because it’s not the job. College Coaches have a job to do , win. No coach is going to keep his job if he loses. If you think preparing guys to play in the NFL is anywhere in the job description you’re sadly mistaken. Joe, you really need to switch out the picture for this article. — When you first see it at a glance,, it just……….. well, it just looks wrong. Switch it out! Oh Joe, say it ain’t so. A Master Teacher & Motivator like Buckner couldn’t get a 1st Rnd pick like Nkemdiche to play up to his potential? You mean, individual players should take some responsibility? Wow! And maybe the Cards’ GM made a boo-boo when he drafted Nkemdiche in the 1st Rnd? Oh no. I wonder if Smitty & Maxie & Hoke had a smile on their faces when they read that you let Buckner off the hook because he couldn’t turn a over-reach like Nkemdiche into the 2nd coming of Reggie White. Defense, you’re cracking me up dude. But you’re also making a lot of sense. I second that. Haha. Good catch. Let’s not hope that this is a showing of Vea in the long run. , based on what I saw on the clip, how the d line could play the same way as last year. I guess Buckner like to watch! Before we put Buck in the HoF lets at least admit that going into a season with JPP-McCoy-Vea-Curry is a vast upgrade from what Jay Hayes ever had to work with in Tampa. My point being I expect a huge turnaround upfront this season and it will have more to do with the difference in talent then it will the dline coach. If Buckner turns that line around, I can see DC in his future. Remember when everyone was saying that Mike Smith was the best signing (or resigning) of the offseason last year? I’m not trying to say that Buckner won’t be a good D line coach, I just can’t get too excited about it in May. I don’t believe this guy will go 16 games allowing Smith to play ten yard cushion every snap. He will speak up after a game or two. Very typical coach speak you can hear all over the league. Well said, man. Great hire, looking forward to great things from Buckner!